UO engaged our user experience team to create a consumer facing app to enhance the users in-park experience. We created a POC based on a series of positioning principles, that delivered a mobile strategy that extended beyond the device. This concept also aligned all digital channels to deliver a consistent experience to consumers before, during, and after their amazing adventure at Universal Orlando. 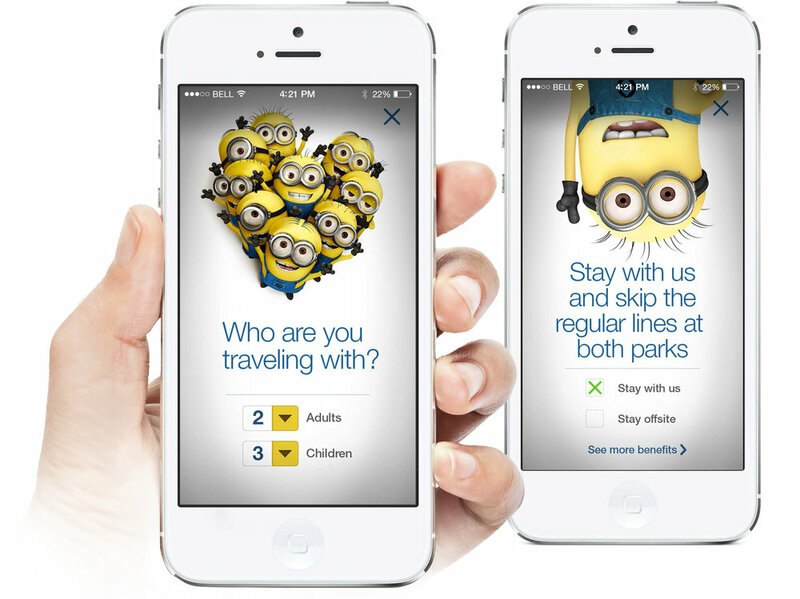 The app presents an opportunity to position Universal Orlando as a one-stop destination for family entertainment. An app guide / wizard helps make the experience fun. Users should enjoy every part of the app, including promotions. A database of targeted promotions that are so convenient and integrated into the experience that they would make commerce welcome—even entertaining. We can help friends and families stay connected while they experience everything the resort has to offer. And in doing so, we make our app a more valuable and more integrated part of their day. There’s so much to see and do at the parks that it can be overwhelming. And visitors want to fit it all into their trip. The app provides a simplified view of all the options and information available to guests. The app should be as fun and exciting as the park. That means enhancing activities like day planning or waiting in line with unexpected, animated disruptions that feature notable characters.